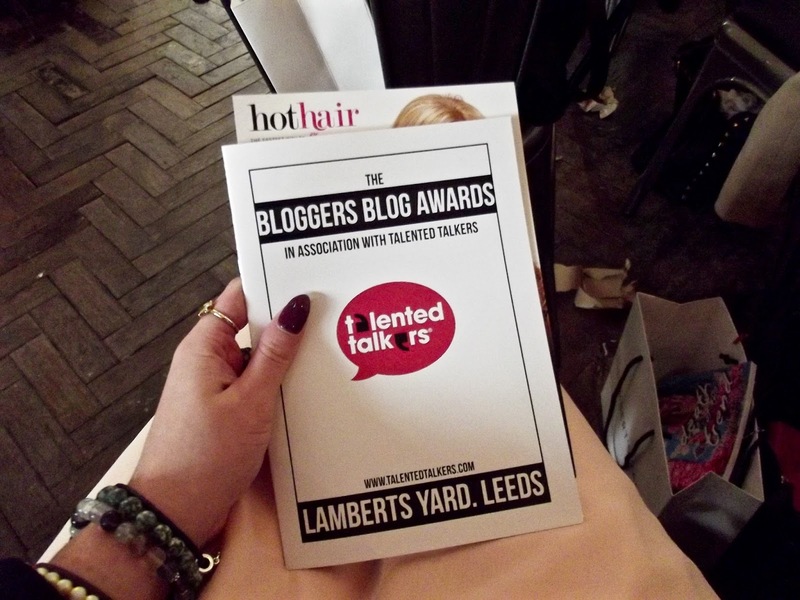 On the 3rd of October i was lucky enough to be able to go up to Leeds with my mum for the Bloggers Blog Awards, for which i was shortlisted in the Best Longstanding Fashion Blog category! I took quite a few photos but unfortunately they came out really bad which i'm not happy about. I did manage to get some good photos though, just not of anyone claiming their award unfortunately. 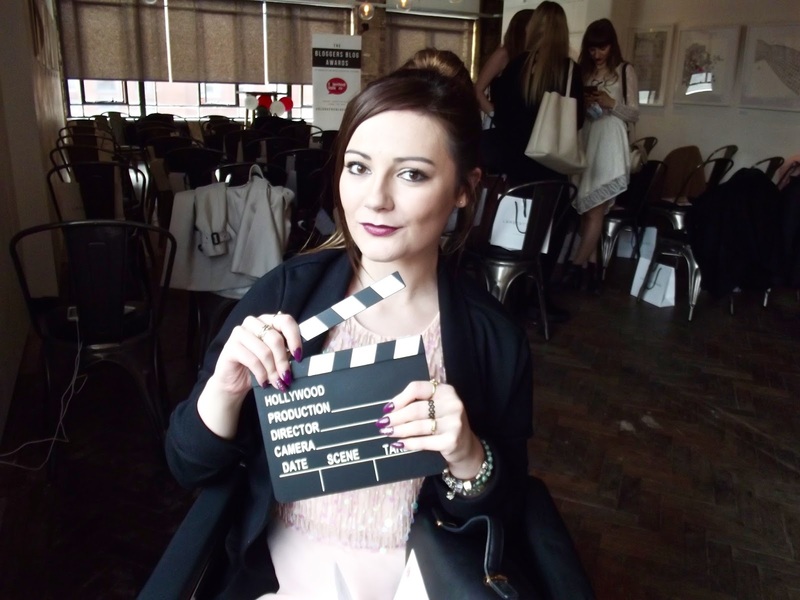 Hayley (Tea Party Beauty) who created the Bloggers Blog Awards did an amazing job. The event was held at Lamberts Yard in Leeds, which have a great event space, as well as their own clothing store downstairs. There was big goody bags for the winners, a prize for the bloggers who were highly commended, a huge raffle table (which i won quite a bit off), a sweet table, a bar. Absolutely perfect for a blog event. Hayley was amazing, messaging me before the event making sure there was a lift and that i would be okay. 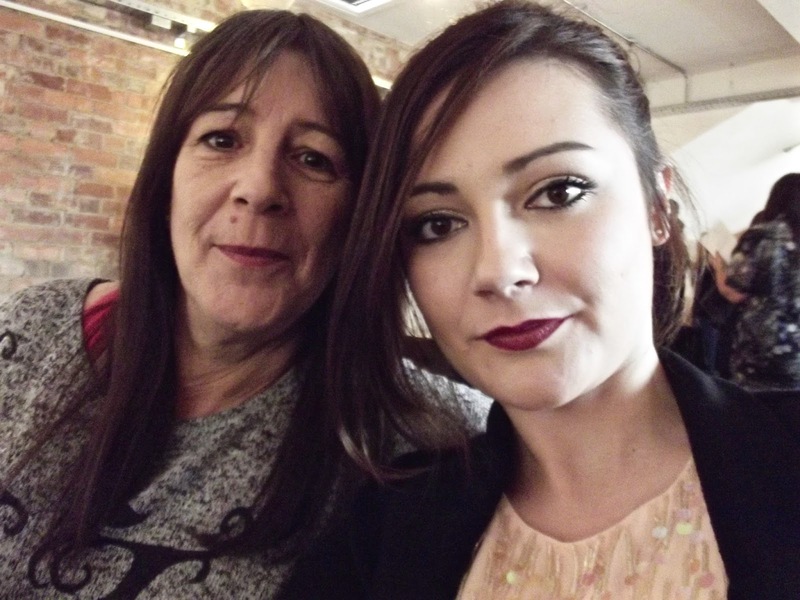 When i arrived i grabbed myself a glass of prosecco, and mum got a coke and we tried to interact with other bloggers. I met some amazing people there! Jemma from Dorkface is just an absolute babe! It was such a pleasure to meet her, not only is she stunning, she is the most loveliest girl! 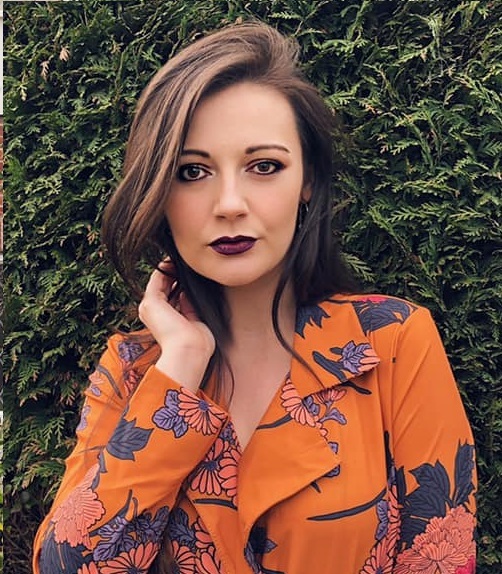 I got to chat to a couple of other people, but being in my wheelchair i found it very difficult to integrate with other bloggers. It was great to see everyone supporting each other during the ceremony though. When people were going up and getting their awards you heard everyone clapping and squealing to show their support. I was so proud of everyone who made it into the shortlist and to the people who won. Everyone was a winner in my eyes! I didn't win my category but congratulations to Helen from The Love Cats Inc who did! 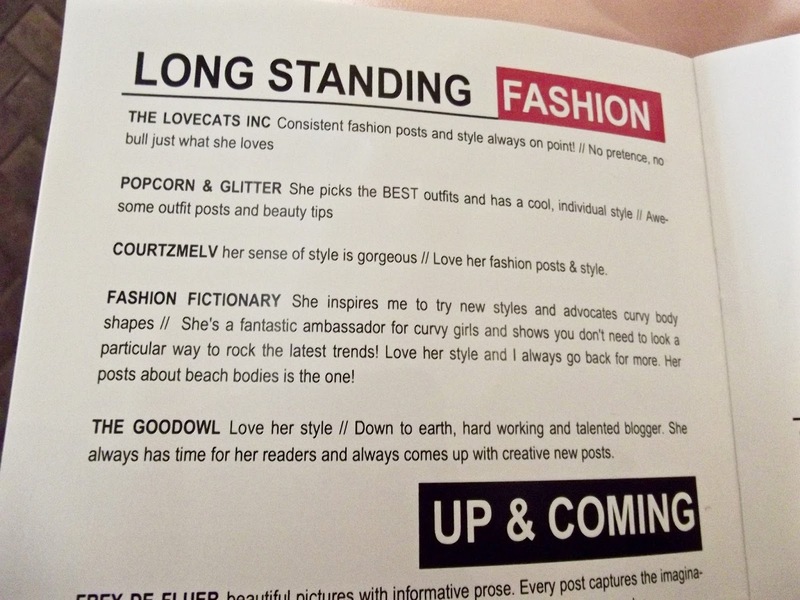 I can't even believe my name was in a booklet with some amazing comments from people who nominated me. To be in there with such amazing bloggers was an honour. Unfortunately though, I truly think being in the wheelchair and having a disability held me back at the awards. I also feel that maybe people were afraid to approach me because of it. I sent out a tweet after the awards saying how i felt invisible while i was there. I was nearly crying during the awards, and i just wanted the ground to swallow me up. I didn't get a selfie with anyone or in any photos which actually really upset me. It made me feel like i was back at school and that i was being singled out, and during the ceremony i just sat at the back with my mum. I don't think people were doing it intentionally, but i just hope me writing this will hopefully draw attention to the fact that people with disabilities are just the same as everyone else. Towards the end of the event, the raffle took place. My mum and i both bought £6 worth of tickets each, and then just before the raffle began i bought one more. Between my mum and i we won 3 Look Fantastic boxes, 2 blog prints, a Magnitone and a Lamberts Yard gift card. I was absolutely over the moon! With the Lamberts Yard gift card, we had to go to the clothing store that was downstairs and i got the chance to pick something out of their range. They said the things i was allowed to choose out of, but i fell in love with a gorgeous black cape. It was £140, so they were a bit hesitant to let me have it but they did! There will be a post to follow with that cape featured as it is just gorgeous! I was standing next to the PR girl from La Redoute, Laura, who was laughing at me winning so much on the raffle, to then find out i'd won a colouring book from them! She was fab! All in all, my time at the awards wasn't what i expected, but to the people i did meet and that took the time to say hello. Thank you. 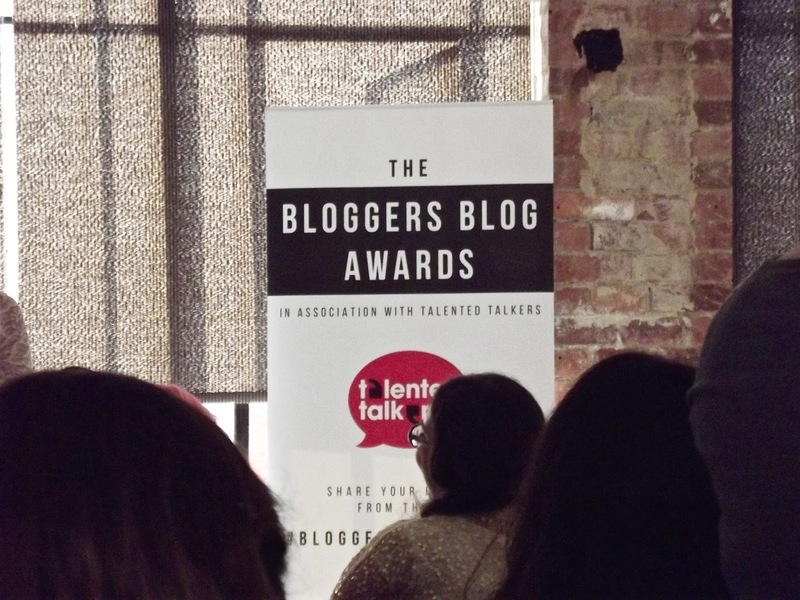 Thanks to Hayley again for creating the awards, i discovered some great new blogs through it! Thanks to my mum for taking me and for a great weekend in Leeds and thank you to anyone who nominated and voted for me! Congrats on getting nominated in the awards, you've done so well! That's a shame about feeling left out. My brother has special needs and he's always feeling left out! I'm sure people weren't doing it intentionally but it still hurts all the same! You're right hopefully now people will read this and understand better! :) keep up the good work girl!